How far are people really going to be socially acceptable? Feeling the pressure to be someone your not? Everyone seems to feel the need to fit in, but how far are people really going? In high school and societies such as the East Egg there's a certain image that people expect. These societies failed because people are fake and care too much about their self image. The truth is, it is way easier to just be yourself, and have people accept you the way you are. Why try to be something you're not? Neatly done hair, expensive designer clothes, and a flawless complexion. Many students in high school feel that they need to dress a certain way or look a certain way to be accepted. Just like in the East Egg, people feel that they have a certain reputation that they need to keep in-order-to fit in. Edmund Winston, a high school student from Wisconsin shared what he thought of the fake people in high school. "It is the people that crave attention and pretend to be something they're not that aren't very smart. No one will survive in the real world unless they can accept themselves for who they are." If people believe that they need to mold themselves into being something that they're not in-oreder-to be accepted, how do they expect to become independent individuals when they get older? The fact is that in high school many students do compromise their morals and values so that they are able to fit in, but by sacrificing your morals and values, how does that help you? Gatsby, and others from the West Egg, try to change themselves to fit in with the East Eggers, because they want to be accepted. They do this because they see the East Eggers as people that are better then themselves. Gatsby, and other individuals are failing themselves because they are changing themselves into something their not, and if everyone tried to change themselves to be the same, there would be no individuality. "I'm honestly sick of high school and all the fake people and "friends"." Is what Gia, a high school girl said. 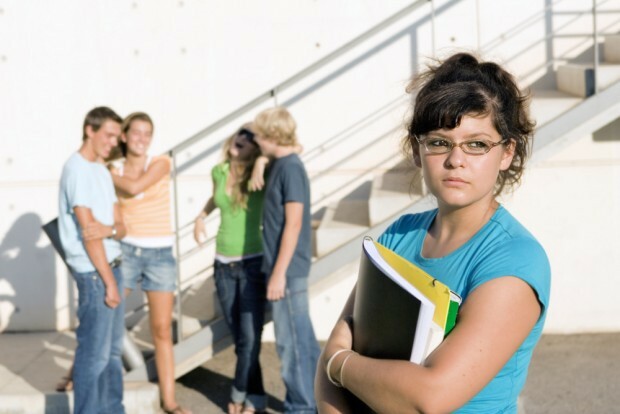 In high school it can be difficult to find a group of friends that you fit in well with. So many studnets instead of looking for people that they get along with, or have similar interests with just change themselves to be like everyone else, but if everyone is"just going with the flow," what does that say about our society? There's a certain act that people put on to be accepted, but when you look past the fake laughs, unwelcoming smiles, and vacant eyes what's really left? Personally I've seen many people I've know manipulate their personalities so that it fits with others. Like Daisy, who loved Gatsby for who he was, had totally changed the way she acted when she was with Tom because she felt the need to fit in with him, and be socially acceptable in the East Egg. Daisy was willing to sacrifice her own morals, and happiness just to fit in. She was never as happy with Top as she was with Gatsby but that didn't matter because Gatsby was not acceptable for her to be with. It's sad how Daisy is not the only person who does this, and actually a lot of high school students are doing this. A high school student said this, "The list of real friends just keeps getting shorter, and it seems that there are fakes around every corner." 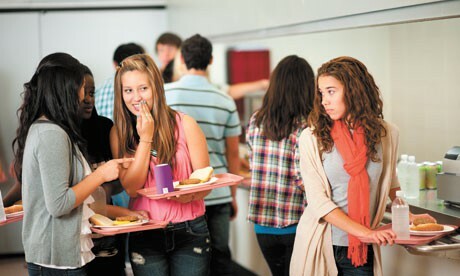 The need to fit in is increasingly rising as many high school students yearn to be socially acceptable. These societies are failing because no one is themselves. Gatsby changes into this wealthy man who throws extravagant parties, buys the nicest clothes, and yet he still doesn't get Daisy. We're left wondering why this doesn't work considering he changed his whole life to be more suitable to her. This doesn't work because he's only putting a show on to impress her when it's not himself and in fact he doesn't belong with her. He doesn't belong in the East Egg, but it makes you think why would he want to anyways. The East Egg is filled with gossipy, fake people. Students change the way they dress, look, and act just to fit in with whats "cool" and that is why high school is failing. Very few people stay true to what they believe in, and the rest get swept up in the different trends, and fads that circulate through the high school. It may be easier to just go with the flow and follow what's trending, but how does that help you find yourself as a person? You don't need to change who you are to be accepted. There are so many people out there that are just like you and you don't need to try to put a show on for anyone. So don't try to be something you're not because it's only hurting you. Myrtle tried to be someone she's not by being with Tom when they both knew it was wrong, yet the did it anyway. Who did it end up hurting? It's obvious Myrtle suffered for the actions, but all of this could've been avoided if Myrtle stayed true to herself and where she came from. You fail yourself when you change the uniqueness of who you are and compromise it to be something that's socially acceptable to everyone else. Just be yourself and don't worry about what others think, in the end you'll be a lot happier with who you are. You have the choice to choose what you're going to do with your life, don't waste it. Don't try to fit in with people you don't like, instead just look for people who you have things in common with. 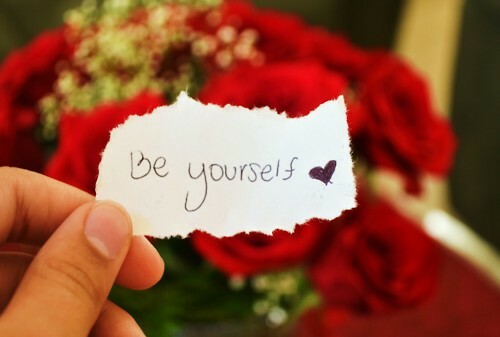 Be yourself, if they don't accept you for who you are someone else will! Don't worry about what people think of you just do what makes you happy. You're not going to get along with everyone you meet, look for people that accept you for you! Don't worry about what people think, or say about you. Be confident in who you are. You don't need to change the way you look or dress to impress people!